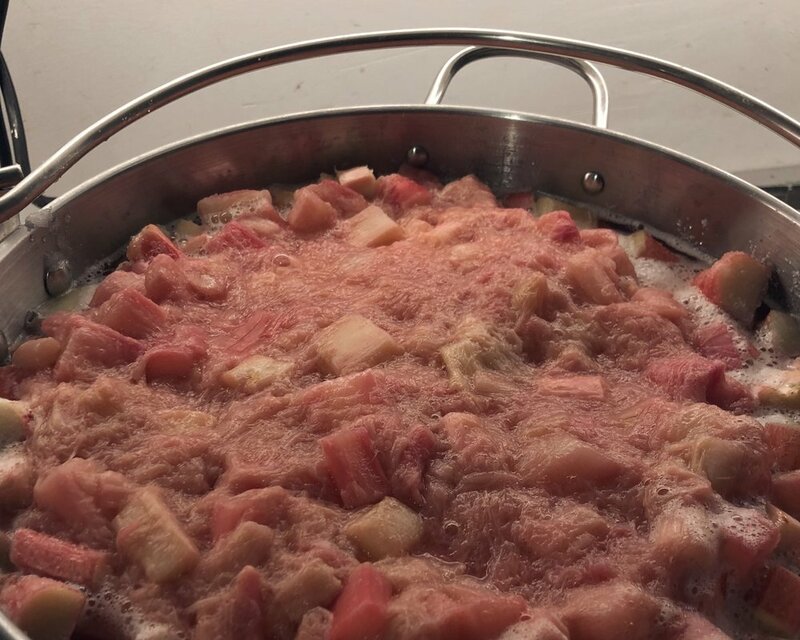 Once cleaned, we chop our rhubarb into small chunks and simmer with water and sugar, this will soften the rhubarb and bring out the delightful flavour. Once cooked we blitz everything together into a thick smoothie. We leave overnight in a fridge so it’s ready when we come back into the kitchen in the morning. We’re ready to churn! We pour our mixture into our machines to freeze. We then decant the delightful sorbet into our large Napoli pans and place in our blast freezer at -40. Then when we’re ready, we do a taste test! 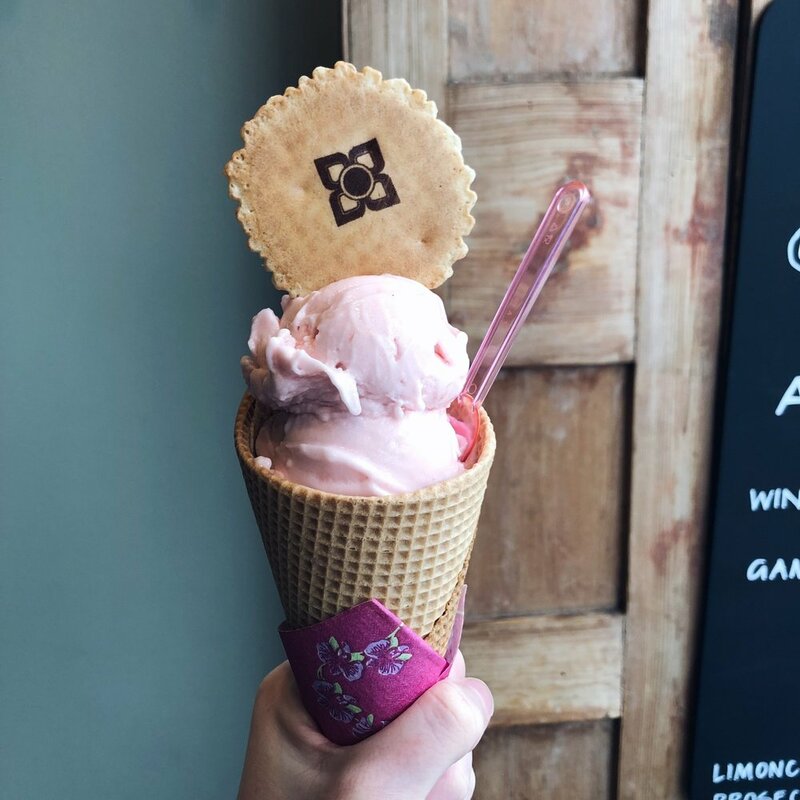 This sorbet is an ideal spring treat, served with delicate Elderflower & Prosecco or something fruity like an orange sorbet - you could even add some slices of blood orange into the mix if you’re feeling particularly adventurous. Historically “rhubarb” dates back as far as 2700 BC in China where it was first used in medicine, the roots were then later cooked and used in food. Generally in British culture, rhubarb is simmered with sugar or used in pies and desserts but we’re known to put it in just about anything including jams, jellies, custards and puddings. We also occasionally use rhubarb in savoury dishes like relishes or chutneys. From January to March we source our forced rhubarb from Yorkshire, but during Summer it comes directly from our customer’s allotments.